Once upon a time, there lived two best friends- Bunty and Babli. Both were born in the same year, the same city, attended the same school and went to the same college. However, things changed when they started working. Bunty was an impatient type guy who wanted to live his life king size and did care about his savings or future. He enjoyed spending every penny that he earned in different fancy things. On the other hand, Babli was patient and goal-oriented who cared for a secured long-term future. When they both turned 40, Babli had built a corpus of Rs 18,28,561 is her portfolio. Realizing his mistake, Bunty decided to start investing from that year with double the amount invested by Babli i.e. Rs 6,000 per month to catch up with Babli. However, because of different responsibilities like Kid’s education, house loan etc, Babli couldn’t increase her investment amount. She continued the monthly investment of same Rs 3,000 per month. Both Bunty and Babli continued earning an equal return of 14% on their investment in equities. 15 years later, on the 55th birthday, Babli had made a corpus of Rs 1,66,71,166 i.e. over Rs 1.66 Crores. On the other hand, Bunty had made just Rs 36,77,122 in his portfolio. Please note here that both Bunty and Babli invested the same amount. Babli invested Rs 3,000 per month for 30 years i.e Rs 10,80,000. Bunty also invested the same amount i.e. Rs 6,000 for 15 years (=Rs 10,80,000). 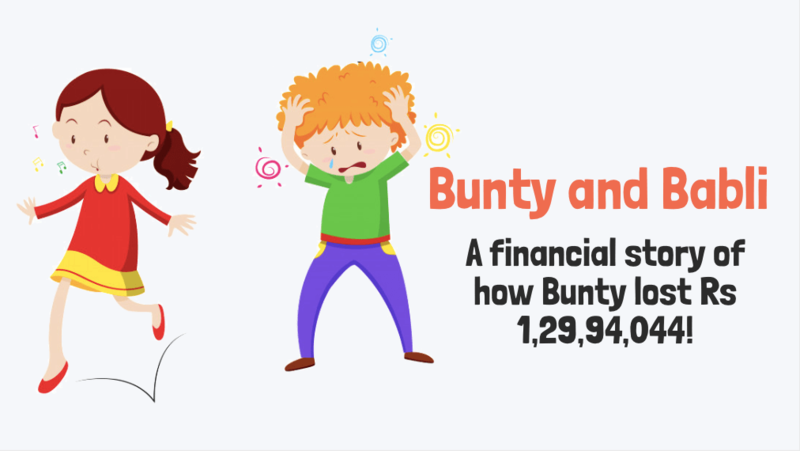 In short, by waiting until an age of 40 to get started investing, Bunty’s portfolio was in loss of Rs 1,29,94,044 i.e. around 1.3 crores. At 55, Babli retired and moved to live in a beach house. On the other hand. Bunty continued to work for the next few more years to save more money and later moved in with his children. This is the power of compounding, my friend. Babli started investing 15 years sooner than Bunty, and over those 15 years, her money started to compound. As a matter of fact, Bunty has to continue to work 10 more years to make the same corpus as that of Babli (assuming that Babli stopped investing at 55 and took out all her money). Quick Note: If you’re a beginner and want to learn how to invest in mutual funds the right way, check out this online course. The sooner you start investing the better off you will be. Time is on your side so take advantage of it. Even by investing Rs 3,000 per month (just like Babli) you can reap big rewards in future. One of my friend bunty is just like the one mentioned here in this article. I am gonna share this to all those bunties who do so. 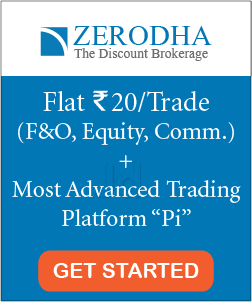 I this this is the right way to make aware and teach the benefits of investing. Hi Virendra. I agree. 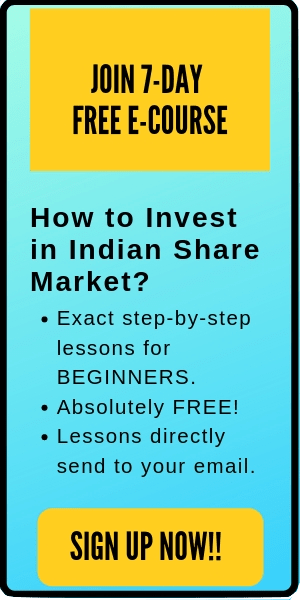 There are many Buntys in India who need to understand the power of compounding. Thanks for your comment. Cheers! !